Transitioning to a toddler bed is not *actually* a part of potty training, but for many families, these 2 things happen around the same time. Partly because it’s easier to night-time potty train in a toddler bed, I find myself coaching parents on toddler bed transitions as part of my potty training work, on a pretty regular basis. In our family, we made some mistakes with the toddler bed transition when we tried (and failed) this past fall. Now that we have successfully accomplished this, I have some more perspective on these mistakes and how you can learn from them. Starting too early. Most sleep experts (or the ones I know at least) will tell you to wait until as close to 3 as possible to make the transition to a toddler bed. In October, I chose to ignore this advice. A few of our friends had already done it – let’s see if our daughter can handle it too! She was really trying to climb out of the crib, despite still wearing a sleep sack (Which I happen to be in favor of as a way to help stave off that inevitable crib-climbing). And she was SO excited about the idea of a toddler bed. The night I got it set up for her, I told her that she’d have to clean up her room if she wanted a big girl bed. I have never seen a 2-year-old’s room get so clean, so fast. I was impressed. I thought this was a sure sign that she could do this. Wrong! After a couple of ok nights, the inevitable “pop-up” started to happen. 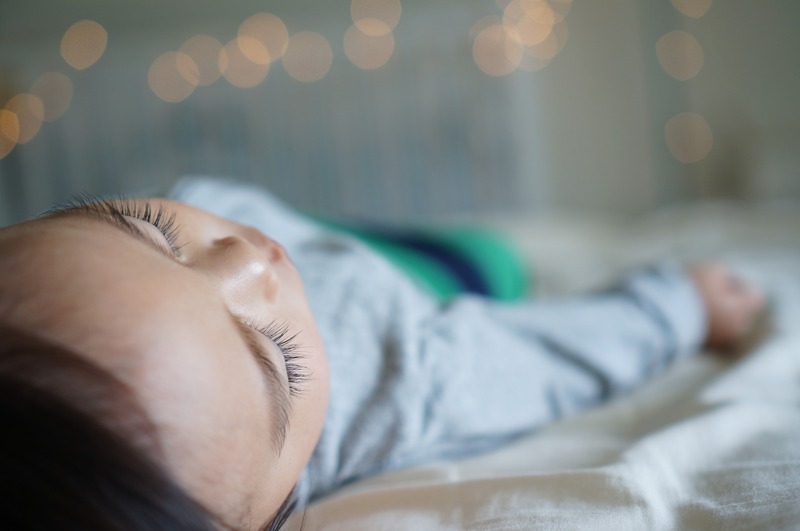 These pop-ups are likely to happen at any point that you move to a big-kid bed, but if you start too early, no amount of consistency, it seems, can control this. We threw in the towel after I reached a breaking point, and when we made the transition 5 months later, the pop-ups became easy to control. Not being clear about limits. How do you communicate about the “rules” of the toddler bed? I told my daughter that she could get out of bed when the sun comes up. Seemed pretty clear to me! Note to my readers: when your child’s light fixture IS a sun, AND they have access to the lightswitch - ***don’t do this!!! *** That night, we were BOTH up. All. Night. Long. “Mommy, the sun is up!” Proceed to jumping on the bed. And on, and on, and on. She also used this idea to justify not being in bed during nap-time. “But the sun is out! !” Kids have a way of twisting your words back on you, even at this age! When we transitioned to a toddler bed, round 2, we got the “OK to Wake” clock in advance. This clock turns green when it’s “OK” to get out of bed. Again – at the right age – this works wonders. It’s a totally “black and white” concept – no debating about whether the sun is out or not, or trying to discuss abstract concepts like “time of day” with an almost-3-year-old. Now, my daughter gets up in the morning, knocks on the door, and says “Mommy, my light is green!” And if she gets up before then, say, to pee – it is no trouble to get her back in bed. Another awesome feature about this clock is that it has a nap timer. Having the room too bright. As kids get older and more aware of their surroundings, sometimes you need to re-adjust the sleep environment. We already were using our favorite white noise machine. And had double curtains. But those, while dark, were still relatively sheer. We ended up having to get real black-out curtains – we just put them underneath the existing curtains and they work wonderfully. Pitch-black it is. At the same time, you need your child to be able to see when they do get up, especially if you’re night-time potty training and want them to be able to pee on their own. We tried a really low-light night light and guess what? It was STILL too much for a kid used to sleeping in complete darkness. Trying to figure out a solution, my husband came up with a *genius* idea: a motion sensing night-light. There are many, many versions of these, and I’ve included her the easiest version to use (stick-on) below. This solution has been the best of both worlds. Little girl has a pitch-dark room to sleep in, AND she can see when she gets up. If she gets up to pee and the light goes out, she knows to just wave at the light (“Hi Light! !”), and then she can see again to get back into bed. Too many transitions at once. Well, we didn’t anticipate the additional transitions. But they happened nonetheless. Right after we tried out the toddler bed the first time, and opening came up to enroll our daughter in preschool. As happens with many kids, sickness followed – we caught every kid’s cold one after the other. Then daylight saving’s time – forgot about that! You get the picture. This was just too much for everyone to deal with. The second time around, we had all of these other transitions solidly under our belt. Moral of the story: sometimes unexpected things come up and not everything can go according to plan. When this happens, your best option might be to just take a break for a while and start fresh. This can apply to SO MANY issues with kids – not just toddler beds. I mentioned some products that helps us with this transition. Check out the links below for my top picks on useful toddler bed products.